Customers can't physically inspect goods online. Discover how professional packshot photography is key to helping customers assess products online. Time flies when you're having fun! 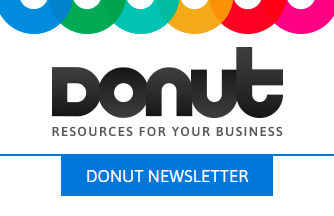 We launched the Donut sites back in 2009 and how things have changed - from office space to tech and social media. Setting up a business as a DJ is much like starting any other business. Here are some key questions to ask when setting out as a DJ to ensure success. When giant businesses have seemingly unlimited funds for promotion, how can smaller players compete? How to get your message out on a shoestring. Start-up businesses need to keep their costs low - but is designing and printing your own business cards a false economy? We look at your options.